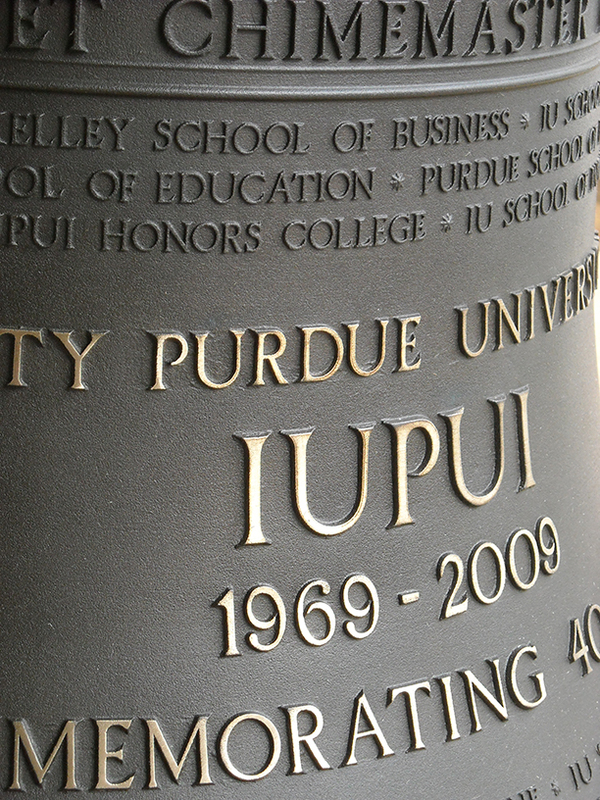 Chime Master installed 23 new cast bronze bells in the tower of the new campus Student Center. The carillon is equipped with an electronic action controlled by a Platinum bell controller with audio augmentation. Speakers arrayed around the tower ensure that all of the bells are heard in all directions even when they are architecturally shadowed. Chime Master provided four new bronze bells for the chapel at Sacred Heart University. The GACD peal starts with a 1400 lb G note bell. Electric clappers are automated by a Libertas control system. Chime Master installed a new electric action 16 bell chime at First United Methodist Church in Lancaster, Ohio. The tower also contained a bell that had been moved from the previous church building, but had never been installed to ring. We removed the bell from the tower and restored it with new hardware. This historic bell now rests on a granite slab in front of the church. A new 14 bell electric action chime with two swinging bells was installed at the University of Portland. The chime is controlled by a Chime Master bell controller. Chime Master renovated and expanded an existing 10 bell chime with an additional 13 custom profile bells to create a 23 bell carillon with mean tone tuning. We also designed and installed a traditional carillon keyboard with batons replacing the old pump handles in the existing chime stand. A pneumatic Auto-Player installed on the chime stand rings the carillon automatically. Chime Master installed a new 55" cast bronze bell in the renovated tower at the Old Red Courthouse in downtown Dallas, TX. The bell, weighing nearly 4000 pounds, is rung mechanically by a completely restored tower clock.